Smarter data logging: Based on a dynamic QR code, Logmore works with any iOS or Android smartphone. The full history data is synced to the cloud within a second. No more need for cumbersome USB data loggers - simply scan the Logmore QR tag and access the logged data instantly in the cloud. Works on all internet connected Laser Scanners and iOS or Android smartphones. Logmore QR data logger covers all your monitoring needs. 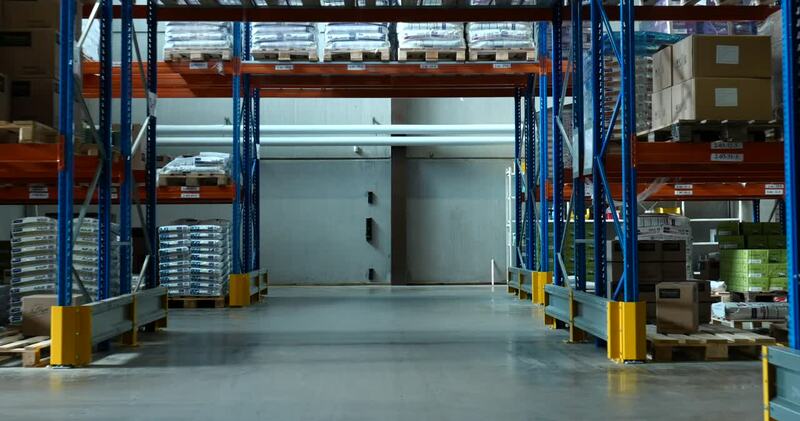 Recognize damage and spoilage occurred during shipping and storing in seconds. Logmore tags work out of the box and do not require configuration. Our unique setup process takes merely 10 seconds and you’re ready to start logging data in no time. Monitoring environmental circumstances such as shipping conditions has never been this easy. In most cases factory settings are just perfect, but if you want to change the settings for the tag, put it on your smartphone’s screen and let it do the magic. The tag starts measuring immediately when you open the package. Sensor data is stored in the dynamic QR code. Every time the data logger tag makes a measurement, it updates the dynamic QR code. Simply attach the tag to a package to monitor its shipping. 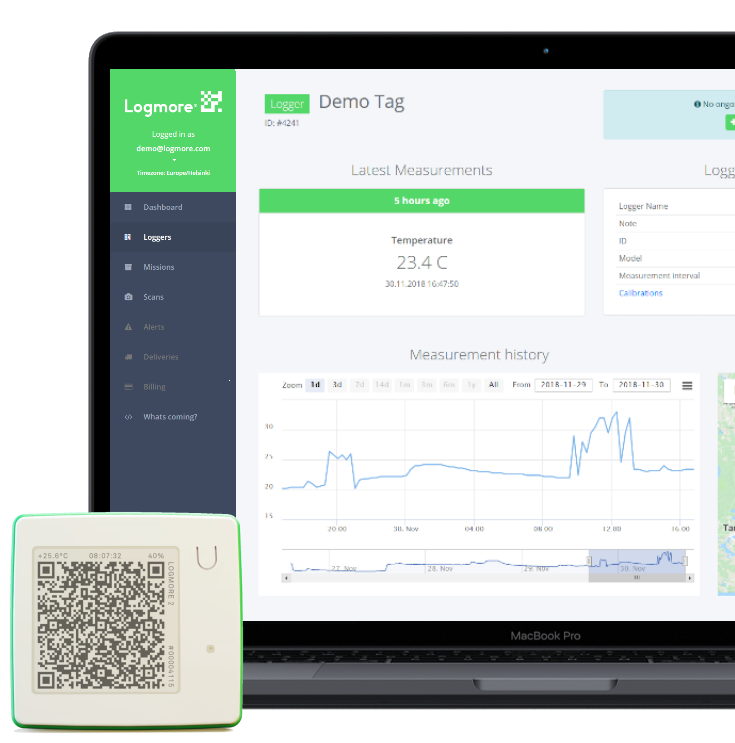 Scan your data logger tag with any device and the data is immediately uploaded to the Logmoer cloud service, where you and your whole team can review it securely to find out what has happened to the shipment. Logmore QR data logging tags are equipped with accurate built-in sensors and internal memory for up to 20 000 measurements, which is enough for months of unattended data logging. Order Logmore QR tag subscription. All subscriptions include the QR data logging tag, the Logmore Web service complete with all features, unlimited amount of users, unlimited history access and open APIs. Minimum subscription is 12 months.